The Search For Stubs contest that I have been participating in is almost over. The last day is Friday, May 6th and Thor will be my big finale. It's been quite an experience at almost 30 theaters in three weeks. I will review the experience in full in a few days, but for now let's take a look at the venues I visited and pick the best and worst. I was lucky enough to visit 29 different theaters in three weeks across three states. They are all different in their own way, even though many share the exact same architecture and overall look. This brand new theater has the advantage of being, well, brand new. Everything is clean and looks fresh out of the factory. But this is clearly a venue that will hold up through the hordes of crazy moviegoers. Every seat is plush, red leather and the front row even reclines. But the seats don't make the theater. The extensive options at the concessions area were breathtaking (honestly), but I will get into that a bit later. The overflow of employees was a pleasant sight and the numerous digital ticket booths reveal a venue that knows how annoying ticket lines can be. Without question, AMC Randhurst 12 is the best theater I have ever been to. I haven't been to them all, but I have been to quite a few. The best overall movie-going experience is unrivaled by this location in Mount Prospect, IL. Concessions are difficult to judge because there are so many variables. The day I went to AMC Barrington 30, I was blown away by how fast the concessions were delivered and how good they tasted. Sometimes you get watered down Cherry Coke or old popcorn, but not when I went to AMC Barrington. But as I said, it's a completely unpredictable facet of movie theaters. All I can say is that of the 29 theaters I went to in three weeks, AMC Barrington's concessions impressed me the most. AMC Barrington has speedy concessions, but the amazing collection of food options at AMC Randhurst is endless. They have new soda machines that dispense over 100(!) flavors of drinks, caramel fudge popcorn, specialty candies and even my personal favorite: guacamole. If you want more food than you can afford, this is the place to get it. This theater in the heart of Times Square is right across the street from a rival Regal cinema. But when you step inside the AMC Empire 25, its size (vertically) is insane. It goes straight up and never seems to end. On top of its height, each screen is relatively huge compared to what I expected. 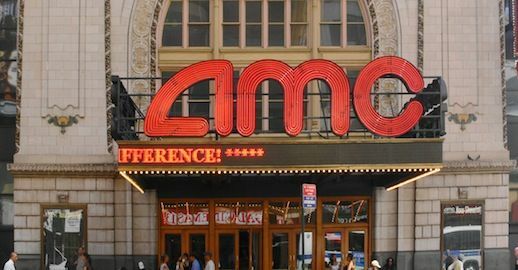 If you have been to a few AMC locations, you can't miss the AMC Independent commercial right before every movie. That video is a promo for certain theaters that show independent features typically seen at arthouse theaters. Lately, AMC has really picked up their indie screens and played some must-see movies. But while the megaplexes do present indie films, this small venue in Old Town (downtown Chicago, IL) always brings movies even smaller in scale and embraces them fully. 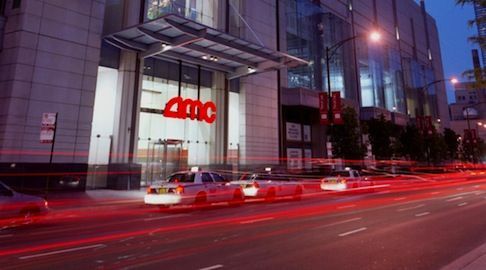 Few theaters in the Chicago area are as convenient as AMC River East. The prices jump a little bit because of its downtown location, but it almost always has the most popular movies on screen. With the exception of Thor (only playing in 3D at River East), I have never had to go to a different venue to see a desired movie. In fact, AMC River East always has the special screenings that AMC Theatres loves to present. Just the other day I saw Top Gun at this venue and it was a once-in-a-lifetime experience I never thought I would have. On top of the venue's great theatrical options, there is even a high-end bowling alley attached to the building. There are so many AMC theaters in the nation and I've only been to 50 or so in my life, but the 30 I visited in my three weeks of the Search For Stubs all had something unique. In some cases, I thought I was visiting the same theater twice because they are built identical. In the end, it comes down to the people who work at these locations.